TruFrame is one of the UK’s largest independent uPVC frame manufacturers, with a reputation for manufacturing and design excellence. They approached AtomicMedia and tasked us with redefining their online presence and producing a new corporate website that would reinforce their reputation and ensure the quality and premium nature of their brand was conveyed. AtomicMedia were also asked to support the new site with ongoing SEO and digital marketing. We ran a discovery workshop with key stakeholders to re-evaluate TruFrame’s vision and bring new life to their offering. Through this, we established that the site needed to cater for two separate audiences – trade and consumer. Quality was an important message for both audiences and became the basis for the new online proposition. It was important trade customers became advocates of the brand and were confident in recommending it to their own customers. Likewise, homeowners wanted to be reassured about the quality of the products and service. 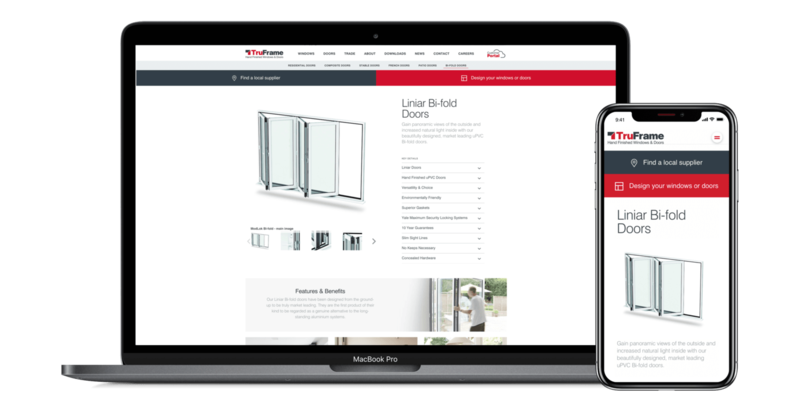 We also proposed the creation of an interactive quoting tool to help customers design their new windows or doors, generating leads for local TruFrame trade customers. With both a trade and consumer audience to engage, we focussed heavily on getting the balance of content just right. So for trade visitors, TruFrame's manufacturing excellence and unrivelled customer service came through loud and clear. And for homeowners, the use of stylish lifestyle photography and jargon free content provides the reassurance they need when choosing the windows and doors they want to transform their home. We also set out to educate visitors on the various features and benefits of TruFrame's products. This would empower trade customers to recommend TruFrame's products to their own customers, but also allow homeowners to gather all of the information they need to be sure they're choosing a windows and doors manufacturer they can rely on. 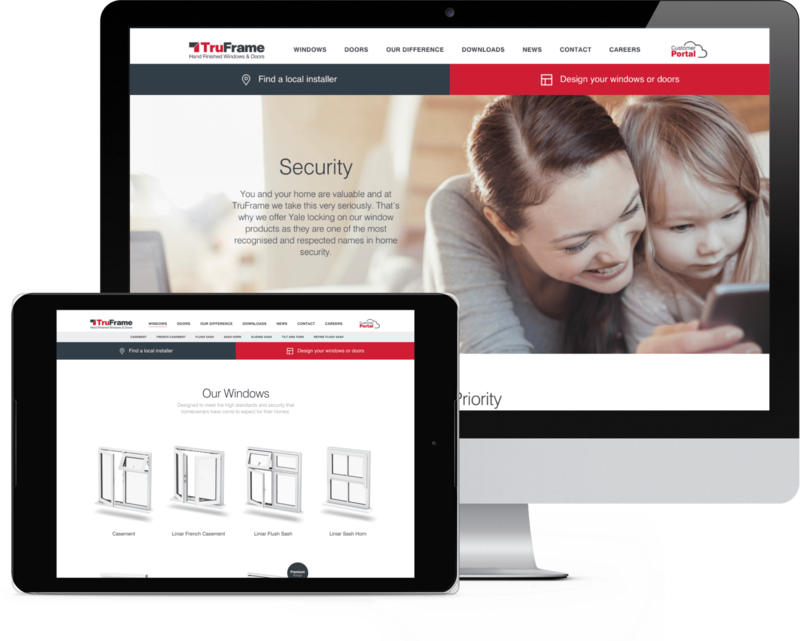 To help drive leads direct to loyal TruFrame trade customers, we developed an online configuraton and quoting tool that allows homeowners to design their own windows and doors before requesting a tailored quote from trusted installers in their area. The responsive web tool was built to work across all desktop and mobile platforms, and combines 3D CGI imagery with easy-to-use customisation tools to enable users to quickly design the right product for them. As markets go, they don't come more competitive than the double glazing industry. Since its launch, AtomicMedia has been supporting the site with ongoing SEO and PPC marketing to help it establish a foothold in online search and drive new visitors to it. This has led to significant increases in site traffic and TruFrame out performing major players in their Google rankings. The site continues to go from strength to strength and has quickly become an integral part of TruFrame's business.